All natural, zero calorie Stevia sweeteners have been in the market since 1970s. However, the worldwide acceptance of the product came to light in recent years. Most common brand of Stevia is marketed as Truvia in the U.S. and other countries. Stevia is credited for its ability to treat diabetes, high blood pressure, and heart decease. It is also credited for lowering uric acid levels and its ability to increase muscle strength. Stevia is native to tropical regions of the Americas. It is being used as a sugar substitute and dissolves in your body slower than sugar and provides no-calorie alternative. During the manufacturing process plants are first dried and then subjected to a water extraction process. 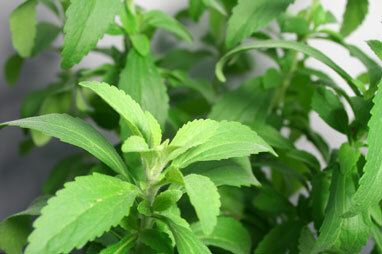 Stevia is also called sweet leaf in many countries. Since 1970s many countries started to approve the use of sweeteners made of Stevia. Japan began the use in 1970s. In the U.S., the Food and Drug Administration approved the use of Stevia in food and beverages in 2008. The European-wide approval of the product came in 2011 and today it is the number 2 sugar substitute in the U.S. It is estimated that in 2015 Stevia sweetener products will generate over $10 billion.